With every major release of host software, we keep an updated list for compatibility and technical information. Please bookmark this post. It will be updated as we receive new information. You have hopefully learned this before you updated your software. The default behavior of Creative Cloud desktop application is to overwrite an older version (CS6, CC & CC2014) and remove the new version. Uncheck the box for the “Remove Old Versions” option. This option is in an advanced options area that is not expanded (twirled open) by default. Why? Head to the Adobe After Effects blog for more on this. The After Effects team had to re-architecture AE because of the improvements and most plug-ins will need to be updated to work with AE CC 2015. After Effects CC 2015: Important things to know before you start working with the new version. Chris & Trish Meyer give some good information about this update. Features not available in After Effects CC 2015 (13.5) – Tim Kurkowski of Adobe gives a lot of good information on the features you're not seeing… yet. All about previews in After Effects CC 2015 (13.5) – Tim Kurkowski of the After Effects Team gives the low down on the new preview features. There is a lot of information here so make sure you read through Tim's post carefully. Install the most recent version of After Effects, and Character Animator will be installed with it. Tutorials for Getting started with Adobe Character Animator. Premiere Pro CC 2015 – Al Mooney goes over the new features in Premiere Pro CC 2015. The After Effects team had to re-architecture AE because of the improvements and most plug-ins will need to be updated to work with AE CC 2015. This is why it's important to keep AE CC 2014 installed. This Plug-in Compatibilty will mainly address After Effects but do take note of Premiere Pro issues. If you have any issues, please let us know and we'll get updated information from our vendors. Boris Continuum Complete v9.0.4 – Boris FX has already released an update for Adobe CC 2015. Please update your software. Download the update here. Chroma Key performance enhancements and a new “Color from Cleaned Alpha” option that enable an alternate color processing approach for edge regions. Boris RED v5.6 is Adobe CC 2015-compatible. Due to compatibility issues with Adobe After Effects CC 2015, Dark Matter will be discontinued as of December 1, 2015. Click here for more info. All products are Adobe CC 2015 Compatible. Digieffects Products are all compatible with Adobe CC 2015. Flicker Free and Beauty Box updates have been released For Creative Cloud 2015 which also includes a couple of bug fixes. All Digital Film Tools products are compatible with Adobe CC 2015. Pro Maintenance Tools v1.3.8 is now fully compatible with Adobe Creative Cloud 2015 and we have made Preference Manager more intelligent at detecting future versions of CC. Download version 2.1.3 for compatibility. 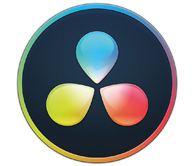 Lenscare, Flair, and ZBornToy are Adobe CC 2015 Compatible. Fresh Curves is CC 2015 Compatible after a free update to v1.11. 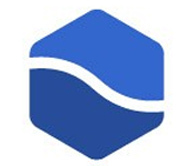 Sapphire v8.11 was released June 16, 2015, to be compatible with Adobe CC 2015. Added support for After Effects CC 2015. Fixed free background render licenses. Fixed a rare crash when returning to After Effects from Builder. Improved reliability of Preset Browser preview images from Premiere. Fixed a bug that caused some parameters to not appear in the documentation. Due to compatibility issues, Monsters GT and particleIllusion are currently unsupported for Adobe CC 2015. If you plan to use particleIllusion or Monsters GT for After Effects, we recommend that you wait to upgrade to CC 2015. Granite Bay has released GBDeflicker4, a totally compatible plugin for Adobe CC 2015. If you purchased GBD3 or a prior version on or after January 1, 2015, you are eligible for a free upgrade to GBD4. If you purchased GBD3 or a prior version before January 1, 2015, you are eligible for the $59 upgrade special ($40 savings!). Learn more. Imagineer mocha Pro is also now compatible with Adobe Creative Cloud CC 2015, just make sure you're using the most current version. All iZotope Products, including RX 4 and Loudness Control, are Adobe CC 2015 compatible. Note: iZotope Final Mix presets will need to be manually moved to the appropriate folder. Media 100 Suite Version 2.1.6 is Adobe Creative Cloud 2015 compatible. The current version of FreeForm Pro and ShapeShifter AE DO NOT support AE CC 2015. An update will be ready in about 1 week. FreeForm Pro and ShapeShifter AE Version 1.75 are also slated for release in about 1 week and will be compatible with CC 2015. Adobe® released a solid update for Creative Cloud and there are great new features included for photographers. Matt posted a short video showing the new features available in Lightroom® and Photoshop®. We noticed some issues with our apps when using them (or trying to use them) with CC 2015. Here is what you need to note as an ON1 user if you updated to CC 2015 or are thinking about it. Installing CC 2015 removes older versions of CC (CC 2014 for example). This makes it appear the ON1 plug-ins were also removed. The plug-ins didn’t get removed, but you will need to go through a few steps to get them to show in CC 2015. For Windows users, if you recently updated to CC 2015, just reinstall your ON1 app and they will locate and install into CC 2015. For Mac users, it’s a little trickier. Reinstalling doesn’t always find the correct locations for the apps to show in CC 2015. Our support team posted the instructions on how to get ON1 apps working as plug-ins for CC 2015 here. 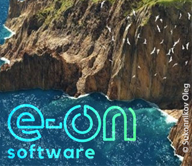 If you are having trouble as either a Mac or Windows user, just leave us a comment and we will do our best to make sure we get the ON1 apps working for you. In the meantime, if you own the Premium Edition of any ON1 app, it is also available to run as the standalone version. Update 6.19.15 – Sounds like the extensions manager has been discontinued in Photoshop CC 2015. This most likely means there will be no more ON1 panel in the extensions menu. To access the ON1 plugs-ins in Photoshop CC 2015, go to the File>Automate menu. Most Red Giant products are Adobe CC 2015-compatible after a free update. Download the installers here to update. Twixtor v6.2, if you are using splines to guide tracking with Twixtor Pro. ReelSmart Motion Blur 5.2 if you are using splines to guide tracking with RSMB Pro. No special new versions of our other products are needed to work AE CC 2015. While you need the current versions of the aforementioned products, you should also be aware that with AE CC 2015 there is a bug and no two of any of the plug-ins from RE:Flex v5.2, RE:Match v1.4, Twixtor v6.2 or RSMB v5.2 can be used on the same layer. If you need to do this, or have old projects that do this, then you will need to apply the first plug-in, pre-compose, then apply the second plug-in in a new composition, or continue to use AE CC 2014 instead. We recommend that if you update to AE CC 2015, that you do so knowing of these limitations. This is a bug with After Effects and we hope they will fix it soon. The plug-ins in our other product offerings should work just fine in AE CC 2015 without any caveats. It has recently come to our attention that due to an AE bug, the final release of AE CC 2014 breaks compatibility with RE:Flex v4. AE CC 2014.2 (v13.2) was released in Dec 2014 after our release of RE:Flex v5. There is a problem where frames are not properly rendered and updated appropriately. In order to use RE:Flex in AE CC 2014, you will need RE:Flex v5.Upgrade is $149.95. RE:Flex v4 continues to work properly in AE CS5, CS5.5, CS6 and CC. After Effects 13.5.1 (CC 2015.0.1) now available, fixes bugs Adobe has released After Effects 13.5.1 (CC 2015.0.1) which corrects a bug which prevented the use of any two of our plug-ins on the same layer. Important note: The AE CC 2015 installer removes AE CS6, CC and CC 2014 by default. We recommend keeping your older versions by unchecking the box for the “Remove Old Versions” option. This option is an advanced option that is not expanded (twirled open) by default. For further details, please see this article on the After Effects' team blog here. With the release of CC 2014.2, Adobe unfortunately broke compatibility with RE:Flex v4. Rowbyte has updated all of their products for Adobe CC 2015. Below are the current CC 2015 compatible versions. SilhouetteFX is compatible with Adobe CC 2015. Tiffen Dfx is compatible with Adobe CC 2015. Trapcode Soundkeys: Currently, there is a known issue in After Effects CC 2015 that keeps Trapcode Soundkeys from converting audio data into keyframes. Until this issue is resolved, Trapcode Sound Keys will not work properly. Trapcode is working with Adobe’s product team to solve the issue. Element 3D V2.2 is compatible with Adobe CC 2015 and is a free update for existing customers. Click here to update your plug-ins. 3D Invigorator PRO for AE and ProAnimator AE are CC 2015 compatible. 3D Flag will have an update shortly for support. Other products (3D Serpentine, 3D Warps, Layer Tools, Reflector, The Werks) are not yet CC 2015 compatible.